He couldn’t stop thinking about it. 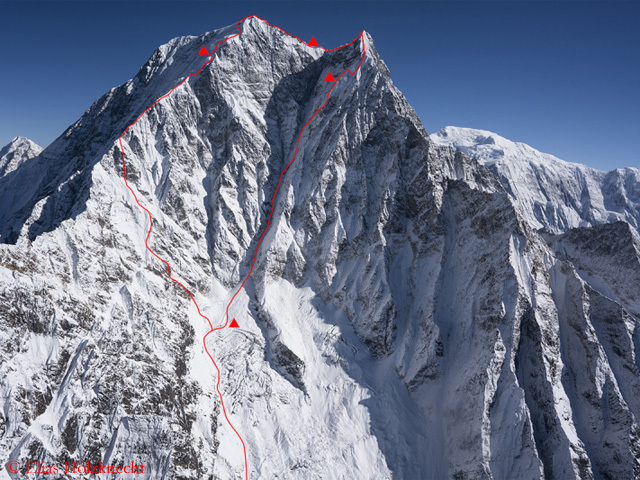 When the Swiss top climber Ueli Steck solo climbed the South Face of 8027-meter- high Shishapangma in only ten and a half hours five years ago, he discovered a possible new direct line. This spring, the 39-year-old – along with the 37-year-old German professional climber David Goettler – returned to the 2000-meter-high wall to have a try at the new route. 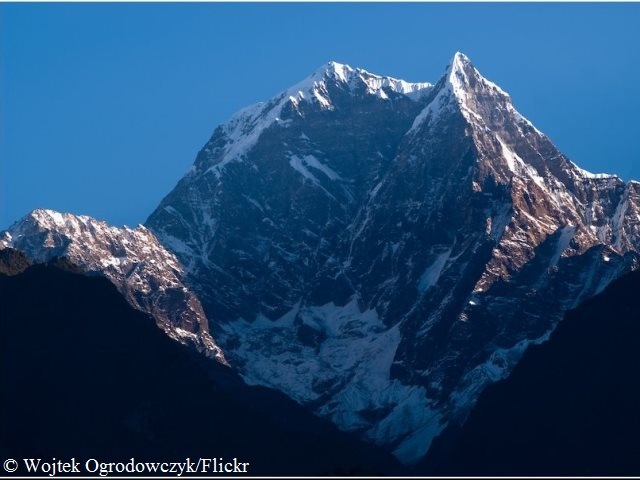 If everything works perfectly, they plan to descend from the summit via the north side, thus traversing the eight-thousander. 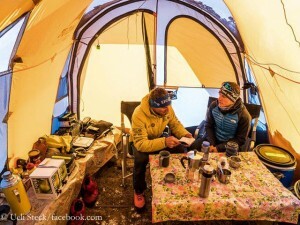 Before heading off to Tibet, Ueli and David acclimatized in the Everest region in Nepal – including trail-running over extremely long distances. I sent them five questions to their Base Camp at the foot of Shishapangma South Face. Ueli and David, the pictures which you published on Facebook in recent weeks, remind me of Speedy Gonzales or Road Runner, two cartoon characters of my childhood: continuously in high speed mode, because hunted. At the same time each of you let us know that the other is really, really fit. Honestly, who of you is actually rushing whom? Or from what are you trying to escape? Once again his dream to climb Lhotse South Face was gone with the wind. 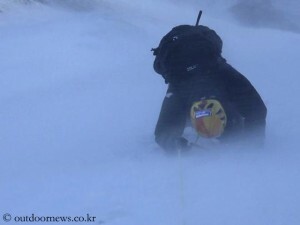 As in 2014, Sung Taek Hong returns empty-handed from the mighty wall of the fourth highest mountain on earth to South Korea. After two months on the mountain, Sung and his team packed up. They aborted their last summit attempt at Camp 1. Sung tried to climb further up but it was impossible due to storm gusts of up to 150 kilometers per hour. Some gear was blown out of the wall. One of the Sherpa climbers was hit und hurt by a falling rock. Ueli did it. Just what exactly? 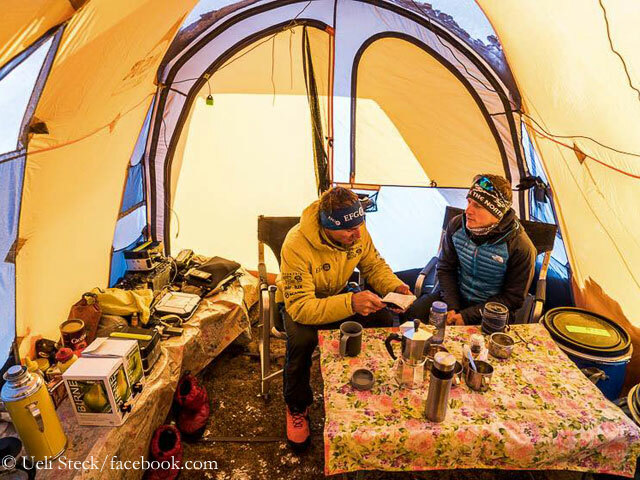 The Swiss climber Ueli Steck is keeping us in suspense after his adventure on Annapurna. “Successful mission!”, is said on his homepage. “Don (Bowie) and Ueli are on the way to Pokhara. 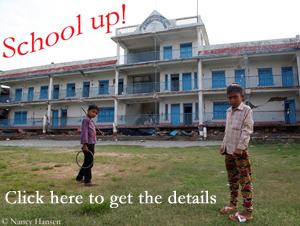 Updates will follow in the coming days.” Quite honestly, if I could I would run to meet them on their trekking. I’m bursting with curiosity. Has Ueli really climbed solo via a direct route through the South Face to the 8091-meter-high summit of Annapurna? Is the rumor true that the Swiss, who celebrated his 37th birthday a week ago, needed only 28 hours to climb up and down? Not only formerly French actor Gerard Depardieu has become a Russian, but also Denis Urubko. The 39 years old climber wrote me that he had left Kazakhstan and had now a passport of Russia. 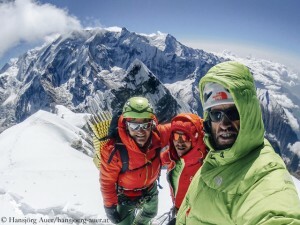 This spring Denis – together with his new countryman Alexei Bolotov – wants to climb Mount Everest on a new route (look here) via the southwest face. 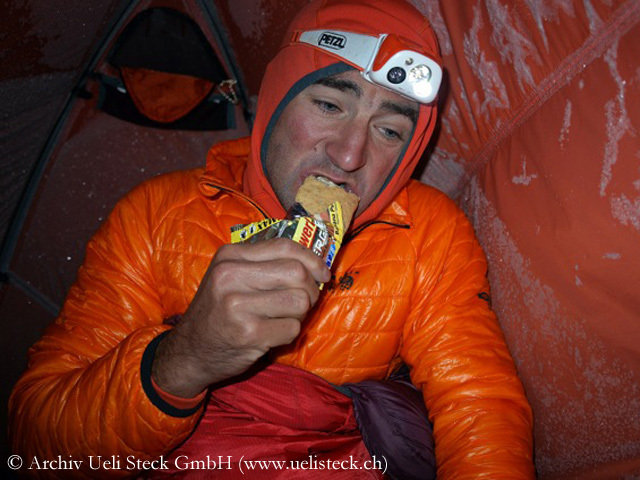 Urubko has already climbed all fourteen 8000ers without supplementary oxygen. 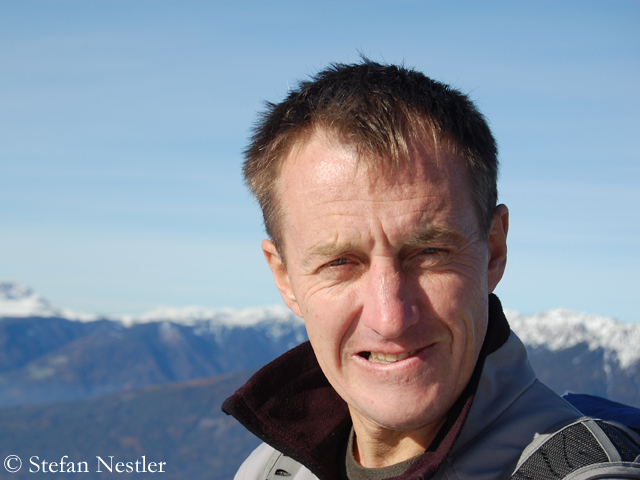 Together with his friend Simone Moro from Italy Denis succeeded the first winter ascents of Makalu(2009) and Gasherbrum II (2011). 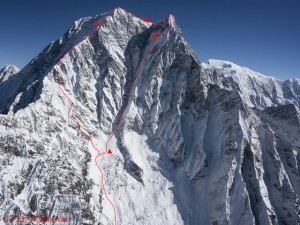 In 2010 Denis and Kazakh Boris Dedeshko were awarded with the Piolet d’Or, the ‘Oscar’ of mountaineering, for their new route via the south face of Cho Oyu. I asked Urubko about his new plan on Everest.